The BLAGSS Table Tennis session is taking a break. However, Brighton Table Tennis Club will be promoting a session on WEDNESDAY nights - called 'All Comers Session'. The LGBT friendly session from 7.30-10pm will be inclusive for all levels of players and will cost £4. The BLAGSS table tennis session is taking a break. We will endeavour to start again if there is enough interest and if there is someone who wants to be the sports rep. Meanwhile BTTC has an 'All Comers Session' which would be a great one to attend to get started. If Table Tennis is to restart in the future we will need a volunteer to liaise with BTTC - If you would like to consider being the organiser please contact John Moore at sportsdevelopment@blagss.org to discuss what’s involved. In the meantime, check out the website for the other BLAGSS sports on offer. 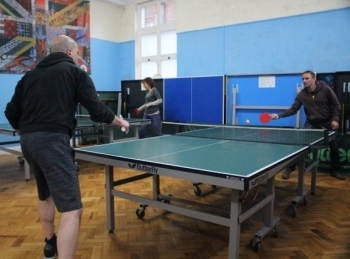 At Brighton Table Tennis Club, Upper Bedford Street, BN1 1JP.